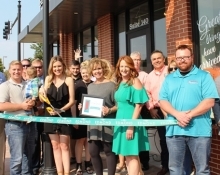 Hello Love Salon & Boutique held a ribbon cutting on Friday, September 8th to celebrate their grand opening. 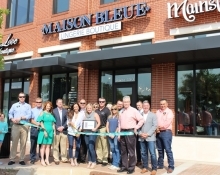 Maison Bleue held a ribbon cutting on Friday, September 8th to celebrate their grand opening! 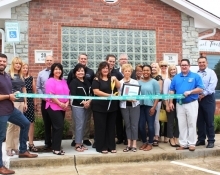 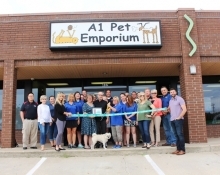 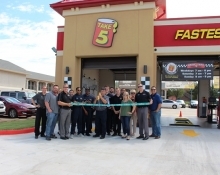 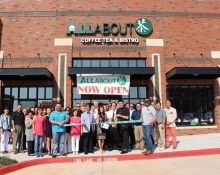 All About Cha held a ribbon cutting on Friday, September 1st to celebrate the grand opening of their Covell location in Edmond! 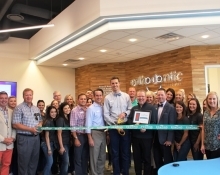 Orthodontic Associates held a ribbon cutting on August 10th to celebrate the grand opening of their new location, 101 S. Saints Blvd. 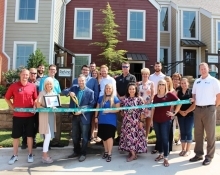 Suite 216 in Edmond. 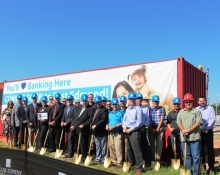 Communication Federal Credit Union, one of Oklahoma’s largest credit unions, broke ground for a new branch location to serve East Edmond and surrounding areas on August 21, 2017. 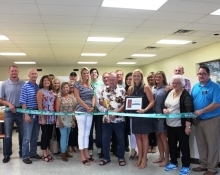 Personal Touch Monograms held a ribbon cutting on August 14th to celebrate the grand opening of their new location, 18 E. Ayers St.
RadVine Marketing held a ribbon cutting on August 4th for the grand opening of their new location, 430 E 2nd Street.